With our ready-available customer service, solid support, and individualized design, we have every area covered from the ground up. Our relationship-focused service is built on a firm foundation of a strong family that has your back. We’re bringing you home. Find your style, find your solution, find your footing, and find your family. Looking for flooring marketing tips? You’re in luck! Our TSF flooring experts, AKA your Territory Managers, share tips every month to help you succeed in your business. Check out their advice here! 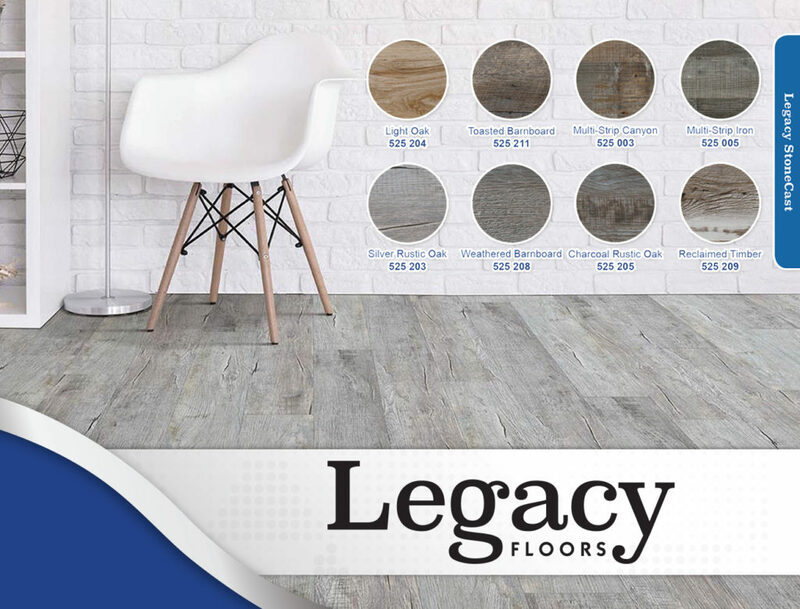 Legacy StoneCast is the hard surface flooring you’ve been waiting for. This waterproof flooring is ideal for kitchens, bath and laundry rooms – any room where water is a concern. Our click lock system stays strong in heat and cold and the flooring is durable enough to withstand most gouging. Lastly, you will be at peace knowing that the attached cushion will drown out sound and give extra comfort underfoot. Discover the beauty of Legacy StoneCast. Tri-State Flooring provides superior service and responsive flooring solutions to its partners. We are the first source for the flooring dealer.